Although scams are not a very positive thing, it is a positive thing if homeowners and lenders can agree that foreclosure and loan modification scams are a real and growing problem. Once that agreement is settled, it’s very important that homeowners know how to recognize these scams and know how to avoid them. As we’ve covered many times, a good scammer’s day job is his scam. They can be near impossible to detect. A homeowner facing a financial hardship is especially vulnerable to these criminals. A good way to combat scammers who want to take advantage of homeowners through foreclosure fraud is through HUD approved housing counselors. These types of fraud will include a con artist that claims they will negotiate with your lender directly. The catch will be an upfront fee. These criminals may offer promises of guaranteed loan modification and refinance deals upfront, but in reality what they are asking for (fees in advance) is illegal because of laws that were made to combat services that never happen. Years ago scammers would ask for upfront fees and still do. 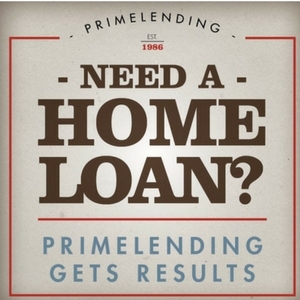 If they are not a HUD certified counselor the reality of getting your loan modification or refinance are slim to none. Although it is true that many homeowners cannot receive loan modifications unless they have already defaulted on their mortgage, defaulting in order to get the loan mod is actually inadvisable. Scammers may convince victims who don’t know any better to halt all mortgage payments, collect excessive fees to then run off without ever having even spoken to their lender. As we’ve already addressed, professional scam artists are masters of deception. If a borrower is vulnerable and doesn’t know any better they may already be a victim of a promised federal modification program. Even promises that come from a legitimate .com or .gov URL need to be approached with extreme caution. Anyone can claim to be an agent from FHA, HARP or HAMP, and so vulnerable homeowners must do their own research when seeking assistance. If in doubt and seeking any help you can find you may also be a victim if approached with fancy words like these three. By law, Advance fees for loan counseling services is prohibited. Even if they’re telling you that a so called, “Forensic Loan Audit,” can help you avoid foreclosure altogether, question everything they say. This is another case of fancy legal vernacular being used to fool people. Because advanced fees for loan modifications and foreclosure rescue services are prohibited, fraudsters may try to use the attorney fee loophole to trick their victims. A common trend is for scammers to affiliate themselves with actual attorneys. Even if they are affiliated with actual attorneys, remember that real lawyers get arrested a lot for fraud. Making sure you are working with a certified HUD counselor is the only path to a legitimate foreclosure prevention program (unless you do it yourself). Lawsuits are real as well, which is another excuse than scammers may use. If the lawsuit isn’t listed with your state’s Attorney General or another credible source, red flags should be raised. Some homeowners in trouble may be so desperate that they find a rent-to-own offer appealing. Handing your title or deed over to anyone offering their help is never smart. If you’re not handing the title back over to a bank official (inside of the bank), then you’re most likely handing your house deed over to a scammer who’s going to collect your rent payments as he finds a way to escape the law. These are not the only signs to a foreclosure prevention scam, but if you have the feeling that someone is trying to manipulate you, you can always submit a complaint to https://www.hudoig.gov/report-fraud for further investigation. Housing counselors and Agencies can be searched through HUD http://www.hud.gov/offices/hsg/sfh/hcc/hcs.cfm.